There's a Chill in the air...and all the kids are praying for a Snow Day! Nothing is more beautiful than a snow covered winter woods...and these little woodland creatures are ready to play! 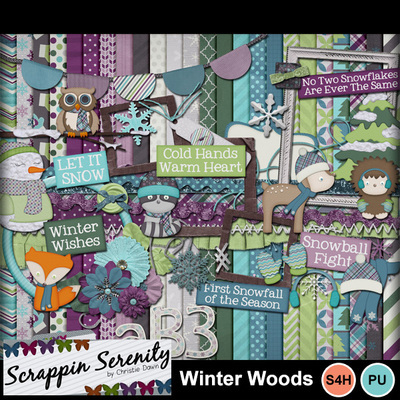 Winter Woods is S4H/S4O Friendly!